When you go off the grid with the Expedition 2.0 Off-Road Trailer, the fun starts where the road ends. 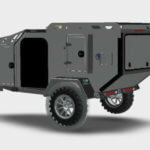 Boasting a powder coated engineered laser-cut 4-inch C-channel steel frame and a cabin structure enclosed in vinyl-wrapped aluminum, the angular and sporty Expedition trailer is designed and built for the most rugged of explorers who don’t have time to slow down for difficult terrain. From its steel mainframe to its uncompromising aluminum storage compartments, the Expedition trailer is constructed entirely of metal and composites. In other words, no wood, no plastic, just 1,800 pounds of digitally-welded compact versatility. At Off Grid Trailers, each design starts with 3D AutoCAD models that are rigorously tested and refined to ensure durability and peak performance. The Expedition trailer features a 50-degree departure angle and a Timbren 3500HD axle-less suspension that is supported by engineered laser cut supports. When the trail gets rough – and it will – the Expedition 2.0 Off-Road Trailer comes equipped with 10-inch electric brakes and a battery back-up breakaway system. 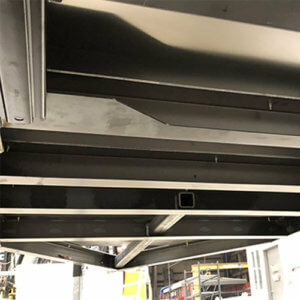 Off Grid Trailers believes that each trailer should be unique to its owner, and that’s why we included integrated mounting points for all frame mounted accessories. The Expedition trailer is topped off with roof-rack aluminum tube cross rails to ensure your bikes and other outdoor equipment is secured safely and accessible when you need it. When Off Grid Trailers boasts about its no-wood construction process, the Expedition’s spacious cabin interior is no exception. Sitting above an aluminum and composite subfloor and enclosed in an environment proof one-piece .090″ aluminum skin wrap-around roof, the cabin of the Expedition trailer features rigid foam insulation and a 10-speed reversible roof fan to ensure the climate inside your trailer is comfortable regardless of the weather outside. Each trailer also includes a waterproof, mold/mildew resistant ThermoLite SpaceAge Synthetics floor. 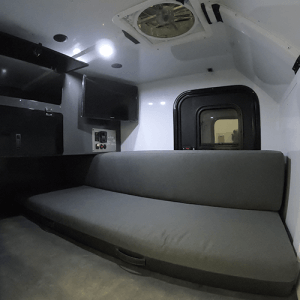 The Expedition trailer also comes equipped with 4 USB ports and interior LED lighting, and includes a fully-upgraded electrical system that features an accessible and removable wire track for easy electrical wiring access. Although the Expedition is designed to be as compact as possible, the amount of storage available – including 23 cubic foot of interior storage and a rear cabinet with four powder-coated adjustable aluminum shelves and 13 cubic feet of storage – is something you need to see to believe. If you’re eager to go truly off-the-grid and experience this trailer in its element, the Expedition 2.0 allows you to take more of the comforts of home with you than ever before. In addition to a high-density memory foam mattress encased in a custom upholstered and vinyl backed cover, the Expedition 2.0 trailer features a 31-gallon CSA approved fresh water tank, a dual bank smart shore power charger, Zamp solar-ready port, and much more. At first glance, the compact and rugged appearance of the Expedition trailer may give the impression that we sacrificed comfort for performance and utility – thankfully, this couldn’t be further from the truth. 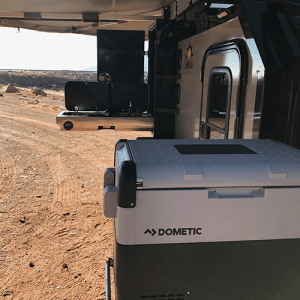 In addition to a 60L Dometic fridge freezer and onboard fresh water, the Expedition trailer features a laser-cut and formed kitchen drop-down galley that is quickly and safely stowed away vertically with an integrated safety latch. You should not have to compromise with your meal prep surface; we have you covered with a stainless-steel kitchen countertop. Despite its compact nature, the kitchen galley is loaded with features including a Dometic stainless-steel dual burner stove, and a stainless-steel deep sink complete with a stainless-steel strainer and fold-down faucet. There’s nothing like a hot shower after a full day of hiking, exploring, or hitting the trails on your mountain bike, and the Expedition’s hot water on demand complete with a showerhead attachment is a nice touch. Once the day’s activities are finished, relax in your custom upholstered high-density memory foam queen mattress, or available roof top tent for larger camping parties, and rest for whatever adventures tomorrow brings. April Promotion: Free upgraded Heavy Duty Go Power 1750 Watt Modified Sine Wave Inverter with purchase of trailer and 10% Off Awnings! 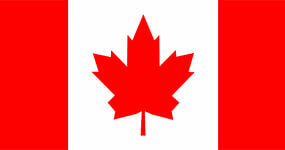 Easy to use online calculator. Customize a trailer to your needs and wants today. Need help with financing? We got you covered! Not sure what trailer to buy?